Christmas Eve is here! It's a time to celebrate with family and friends, but also a time to create some festive creations for the season. BrickinNick made a unique (special snowflake!) snowflake to display in his home, and one of the most creative designs that I have ever seen. It's hard to picture the exact size, but maybe this could even work as a tree topper, or an ornament. 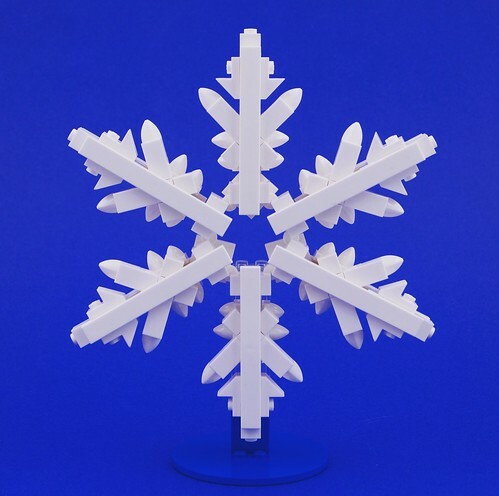 A good snowflake model is something I always enjoy seeing in LEGO. Great work here, Nick! Merry Christmas to all from your favorite LEGO nerds!